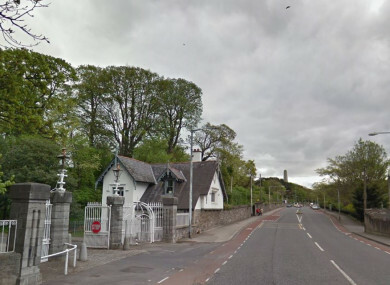 GARDAÍ ARE APPEALING to witnesses to a fatal crash that happened on Conyngham Road, outside Dublin’s Phoenix Park, yesterday morning. It happened at around 11.30am yesterday morning at the junction of Conyngham Road and the park’s Islandbridge exit. Gardaí said the driver of one of the cars, an 85-year-old man, was removed by ambulance to St James’s Hospital. He was later pronounced dead. The driver of the second car was also taken to hospital. His injuries are not life-threatening. Forensic tests have been carried out at the scene and the Coroner has been notified. “A post-mortem examination will be carried out the results of which will determine the course of the Garda investigation,” a statement said. Anyone with information is being asked to contact Kilmainham Garda Station on 01 666 9700 or to call the Garda Confidential Line on 1800 666 111. Email “Elderly driver (85) killed in crash near Dublin's Phoenix Park ”. Feedback on “Elderly driver (85) killed in crash near Dublin's Phoenix Park ”.